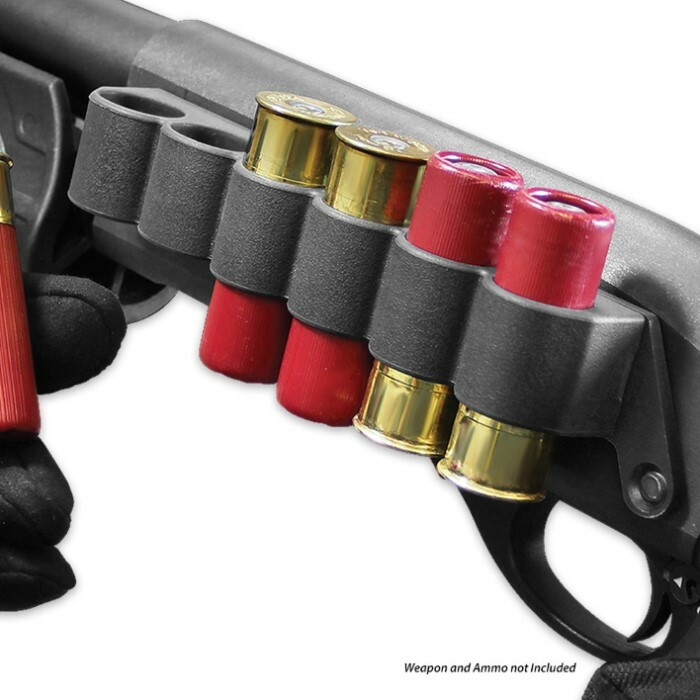 Adaptive Tactical Receiver Mounted 12 Gauge Shell Carrier for Remington | BUDK.com - Knives & Swords At The Lowest Prices! 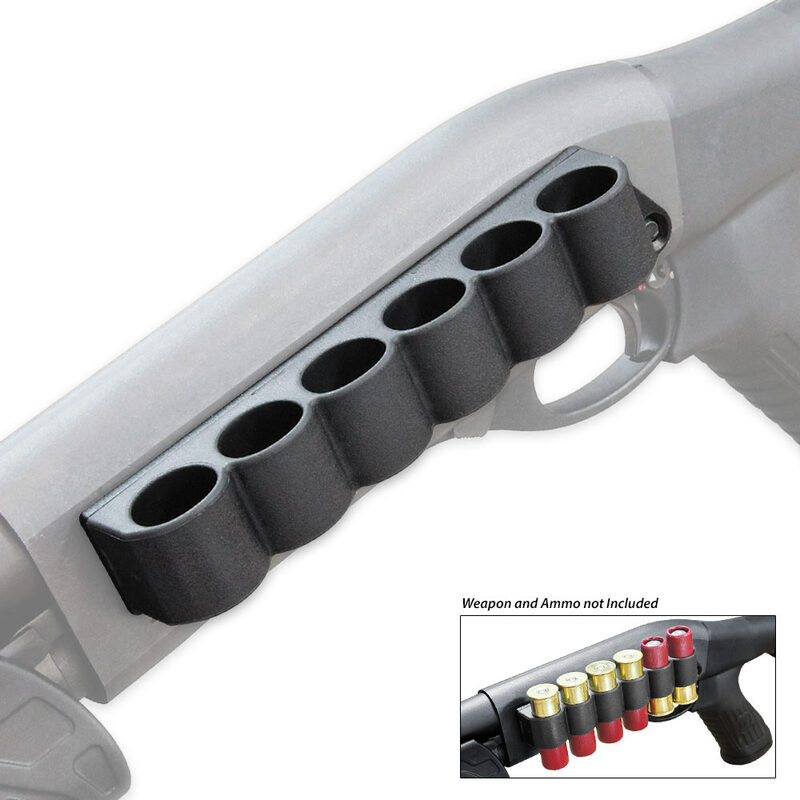 Simple and sturdy, Adaptive Tactical's Receiver Mounted Shell Carrier for Remington keeps six 12 gauge shells at the ready at all times. 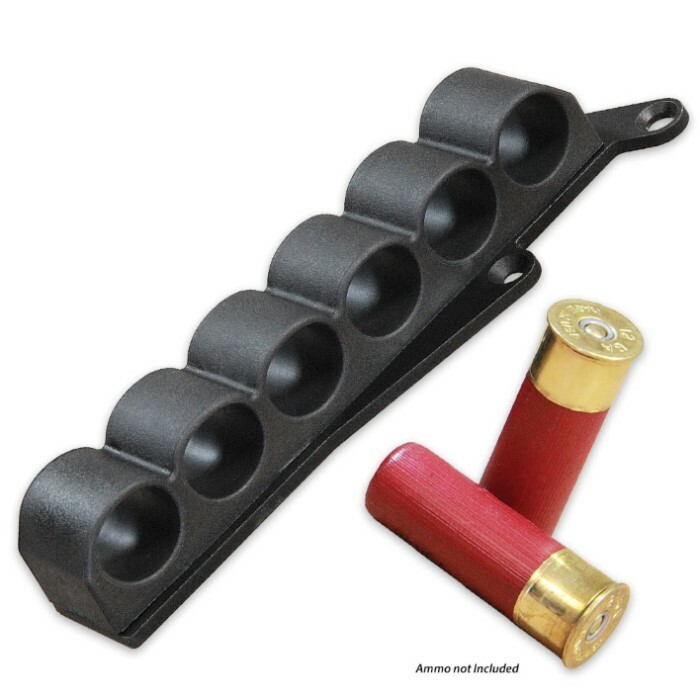 No need to fumble for shells - just quickly and conveniently reload right from the side of the receiver. It's easy to install and nonpermanent, so you can remove it any time for any reason without unsightly marks or holes left behind. The streamlined, lightweight design features a shaped mounting plate that fits closely to the receiver’s contours. Made of chemical and weather resistant synthetic rubber, the carrier flexes to securely hold shells while retaining its original shape over time. Whether for home defense, sport shooting or law enforcement use, the durable shell carrier is up to the task and ready to perform in even the harshest of conditions. Compatible with Remington 870, 1100 and 11-87 IMPORTANT FOREND ADVISORY: If your shotgun is equipped with a field grade forend that extends onto the sides of the receiver, it will hit the shell carrier and not cycle fully. To remedy; shorten the length of the forend or equip with an alternate, compatible forend such as Adaptive's EX-Performance or Wraptor.